When we think of flea infestations, we often consider our pets as the only victims. But this is far from true. These parasites can easily infect any warm-blooded land animal, including human beings. Though not that common as compared to lice, bedbugs, and other human parasites, you still can find yourself a victim of these little bugs. How do fleas affect humans? 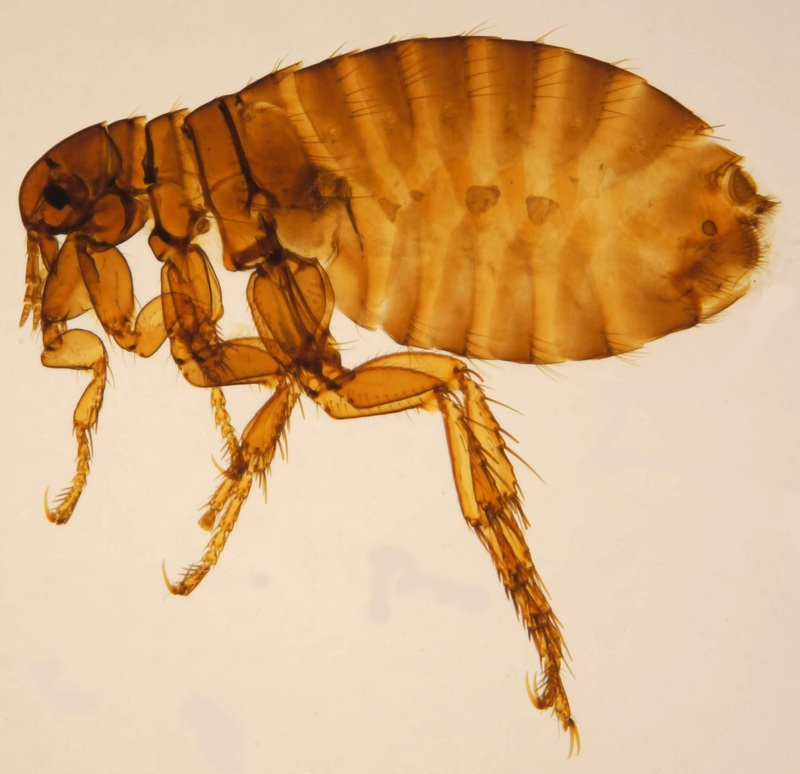 Humans are not the definitive host for fleas. We, therefore, get affected as "accidental" or intermediary hosts. In most cases, one has to be in close contact with a definitive host, say a cat, dog, or bird. That's why flea problems are mostly reserved for pet owners. What are the types of fleas that affect humans? 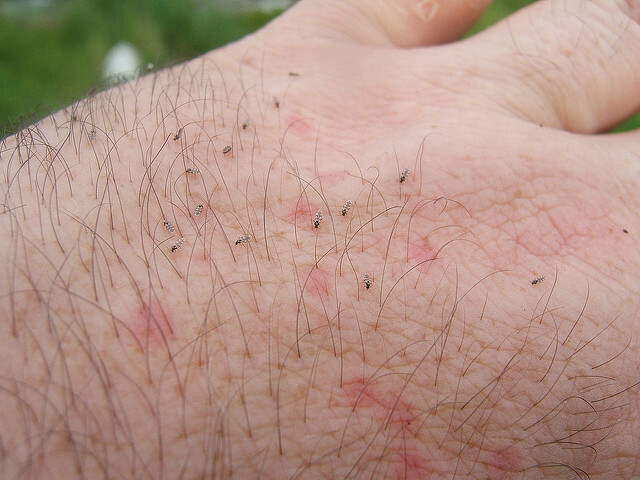 There are over 2000 species of fleas, but only a few of them can infect human beings. What do the fleas that bite humans Look Like? 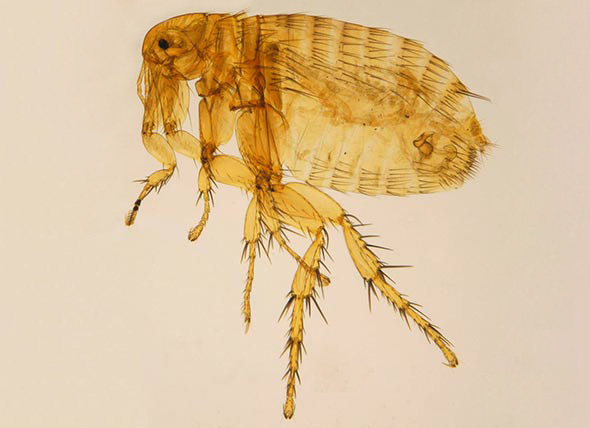 The human flea (Pulex irritans): This is the species that primarily affects human beings. It is rare in the USA, but more prevalent in the southern states, especially during summer. 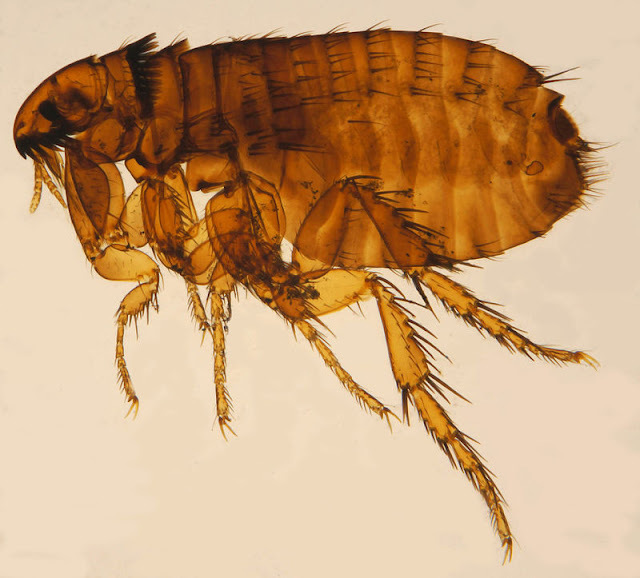 Despite being named the human flea, its definitive hosts are guinea pigs and peccaries. Cat flea (Ctenocephalides felis): This is quite common among cat lovers, especially those who share their beds with them. It is the most common flea species in the USA. Rat flea (Xenopsylla cheopis): This one is largely associated with unhygienic conditions. It is a dangerous flea species that is known to spread several zoonotic infections. Jiggers (Tunga penetrans): This is a nasty flea species. They affect toes and fingernails by burrowing into the skin. It is largely reserved in the tropics but occasionally finds its way to the USA through immigrants. These are the common fleas that commonly torment humans. Their distribution varies from location to location, and they also affect different areas of the body. Where do the human fleas live? 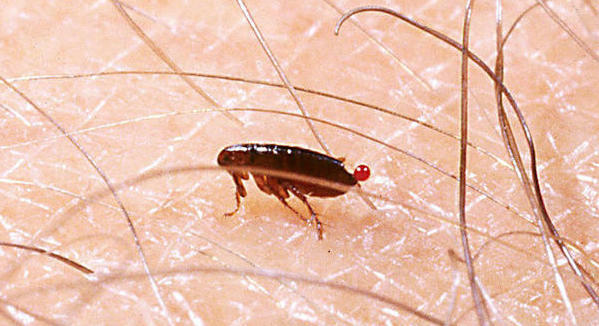 Fleas do well in warm and moist environments. They thrive in carpets, beddings, grasses, bushes and moist soil. In households, they are commonly found in areas that your pet sleeps, and where they spend most of their time. How long do fleas live in the house? Well, that depends on a lot of factors, the major ones being hygiene, and indoor temperatures. They may survive all year long, changing from one stage to the other. Yes, they do at times, but this is not common. This is because they are not well adapted to live on smooth skins. In most cases, they may live in long hairs. This can be quite hard to deal with, especially if they have already laid eggs, and some have progressed to larval stages. In some cases, fleas can live underneath our clothes, that is the waist region, in underwear and other inner clothing. This however only occurs in poor hygiene. How do Fleas bite humans & How do bites Look Like? Just as it is in other animals, fleas attack humans for nutrition. They bite the host's skin in a bid to obtain blood for them. This often leaves painful flea bites. 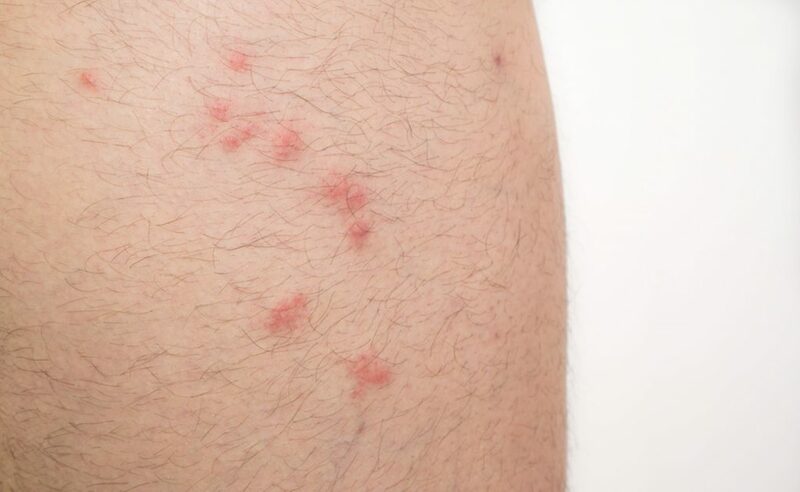 The bites appear much similar to mosquito bites: swollen, red bumps which are surrounded by an area of inflammation. They are often extremely itchy, and painful in some cases. What happens if I get bit by a Flea? The itchiness and swelling of the bite site is usually an allergic inflammatory reaction to the flea's saliva. The extent of the irritation depends on how aggressive your immune system responds to the bite. Some people react adversely to it, leading to nasty and may even get systemic symptoms such as fevers, breathlessness, wheezing, and swelling of the mouth and face. 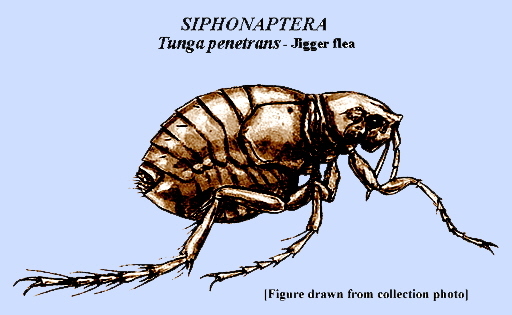 Some species of fleas, notably the cat flea, spread zoonotic diseases. A good example is the bubonic plague which is transmitted by cat fleas and rat fleas. Though its prevalence has reduced over the years, it still occurs in the USA. This is the most dangerous outcome of a flea bite. In most cases, itchiness and pain are the main problems. These can be addressed by antihistamines which alleviate the symptoms of irritation. They will also help prevent you from getting adverse allergy symptoms. At the same time, try to avoid scratching the bite site as this will only exacerbate the bite wound, and possibly lead to infection. As for pain, over the counter painkillers will get the job done. The other element of managing flea bites is infection prevention. 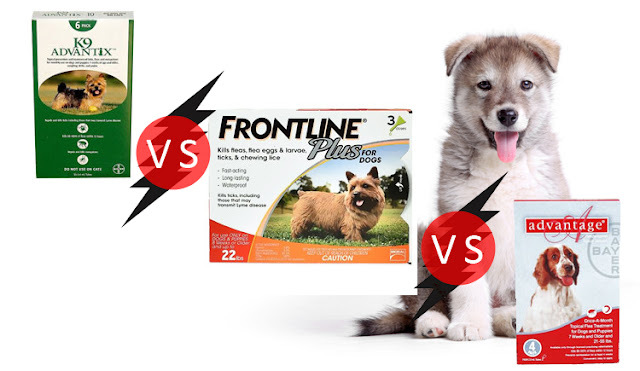 As mentioned, fleas can transmit bacterial and viral infections. You, therefore, need to wash the bite area with antiseptic soap as soon as you spot it. You then need to maintain proper hygiene of the bite area. Infected wounds will need antibiotic treatment. For this, you will have to consult a doctor. By the time you are getting flea bites, chances are that your pets are infested, and your household too. You, therefore, have to have a multi-angle approach to dealing with this. First, you have to treat yourself and everyone else you live with, then your pest, then exterminate the fleas in your household and environment. For self-treatment, cleaning your skin, hair, and clothes often gets the job done. There are flea treatment shampoos and soaps. These work well for eliminating fleas in your hair. How to Get Rid of flea bites on humans? Make sure to scrub thoroughly, and get to the root of each hair strand. It is also good to use hot water while cleaning so as to destroy even the tiny eggs and larvae hidden beneath. DO the same for all household members; your kids, and spouse. Chances are they are infected too. At the same time, you need to disinfect your clothes. Wash your clothes and beddings in hot water. You can additionally use detergents that contain flea treatment agents. This way you will eliminate the fleas camping in your clothes. The next step is treating your pets, and carrying out a full extermination of your house. These will require various flea treatment products and techniques. After achieving this, you will have fully cured yourself of flea bites. Can fleas cause harm to humans? In conclusion, human flea bites are not that rare an occurrence among pet owners. They are often harmless, and just cause irritation and pain at the site of the bites. In some rare cases, flea bites may transmit zoonotic infections such as bubonic plague, or cause serious allergic reactions. The bites are not that hard to treat, and often resolve within two to three weeks. Eliminating fleas and preventing further bites often requires self-treatment, treatment of your pets, and extermination in your household and its environs. How to remove and control Fleas in Carpet? If you own a pet, or there is a pet around your house then chances are you have been at risk of having fleas in your house. This is because they are adept at prowling for household pets like cats and dogs. If not get rid of they have the habit of burrowing underneath the skin of humans too. 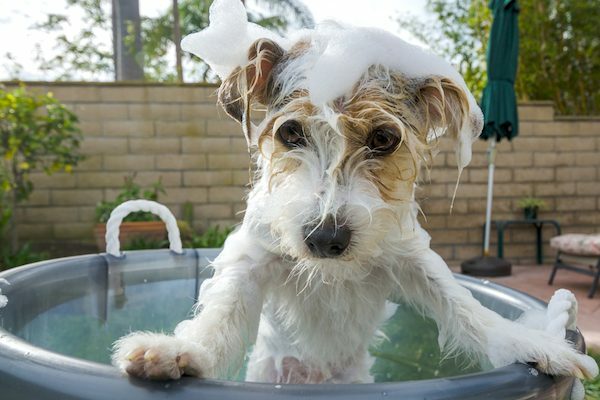 Making a DIY dog shampoo is easy. Photography by Steve Bruckmann / Shutterstock. Dogs are covered in skin much like humans are and to also share a characteristic, they are also prone to have sensitive skin conditions that make them really uncomfortable. They express this by scratching, biting and rubbing more than usual. This results in their skin becoming red, having flaky and even oily skin in some dogs.